Experience New Zealand the local way! Friendly, famously welcoming, and a great sense of humour: why wouldn’t you want to stay with locals in New Zealand? There are heaps of ways you can not only meet locals in New Zealand, but you can hang out with then and stay with them. Many Kiwis open their homes to backpackers, whether it’s to stay in their spare room, work for accommodation, or sleep on their couch for free. Staying with Kiwis is a great way to experience the real New Zealand, as most locals are keen to take their guests on fishing trips, hikes, secret spots, hunting and more! 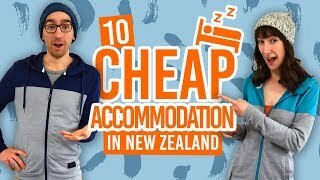 Some of the most random and memorable experiences on a working holiday or gap year in New Zealand come out of staying with local New Zealanders. Why do you think WWOOFing, for example, is so popular in New Zealand? So take a look at the list below on the ways you can be spending time with locals in New Zealand. 1. Try Airbnb – it’s the hype! Airbnb is HUGE at the moment. Every traveller is talking about it. Like most things, it has ups and downs, but it is undeniably a great way to stay with locals when arriving in a new town. 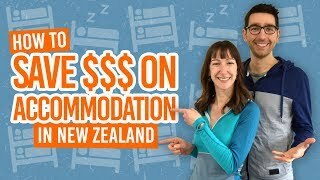 You can find a decent room starting NZ$40+ for a couple in most towns with the exception of Auckland being a bit pricier. Make sure to check out our tips to make the most of Airbnb in New Zealand before your get started. Working for accommodation is the best way to save money on the go. With organisations like HelpX and WWOOF, you can exchange your services for a bed and a meal. Most hosts have done this for a very long time and are used to newcomers. They love to show you around and share their culture with you. This is much more than a job or a simple exchange, it is a life experience every single time. Check out the Work for Accommodation section of our site for tons of tips on the subject. If you are travelling around New Zealand in a self contained campervan, you will be able to use Ok2stay. Ok2stay is a great platform that put travellers like you in touch with local hosts that will let you park on their lawn for free. Usually this will also give you access to their facilities. Plus, it is customary to exchange meals and a cool beer at the end of the day. The yearly membership is under NZ$50, so even if it is only to use it for a couple of nights, it is still cheaper than a holiday park. The classic backpacker wants to couch-surf, and for this very reason, we have heaps of info on the subject on our Couch Surfing in New Zealand Guide. Hitchhiking and couchsurfing is the hippie way to go about New Zealand. Despite declining numbers of hosts, couchsurfing is still a great way to find a free bed here and there, as well as spending time with locals keen to exchange tips about their beloved area. Working as an au-pair is the best way to instantly become part of a Kiwi family. Living and working with them, as well as being in charge of the kids and household chores will truly transform you from a traveller into a local. Families regularly include their au pair in weekend activities and often take trips to hidden gems in the area. Plus the food, oh my… It is likely that you will be well fed! Oh well… you’ll get on a diet when going home. Check out our tips to get an Au-Pair job in New Zealand.